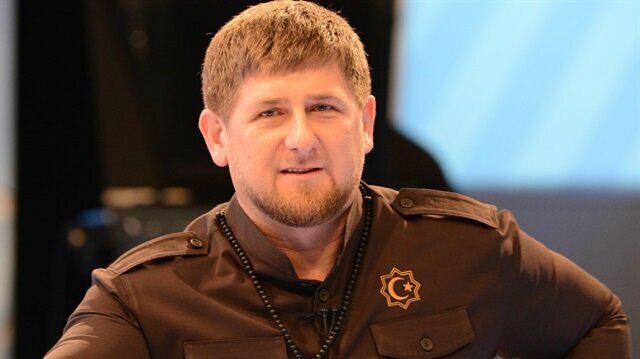 Pro-Russian Chechen leader Ramzan Kadyrov said that the pro-West Turkish military official attempt to overthrow President Recep Tayyip Erdoğan. He said Friday night's coup was attempted because Erdoğan's independent policies are crossbench from the West. Kadyrov added that recent changes in Turkey's Syrian policy and Erdoğan's West-free policies could have led pro-West generals to orchestrate the coup attempt. Turkey defeats coup attempt in less than 24 hours.The attempt by sections of the Turkish military to overthrow the government began at around 10 p.m. local time (1900GMT) Friday and was thwarted by 8 p.m. Saturday.Around 160 people were martyred and 20 pro-coup servicemen killed. Around 3,000 military personnel have been arrested.The coup was organized by followers of U.S.-based Fetullah Gülen to overthrow the government through supporters within the Turkish state, particularly the military, police and judiciary.Below is the chronology of developments (all times local):July 1510 p.m. - Shots heard inside General Staff complex in Ankara and a helicopter fires at people on the ground. Soldiers take control of state broadcaster TRT and the General Staff headquarters in Ankara as troops seize the Bosphorus and Fatih Sultan Mehmet bridges linking Asia and Europe in Istanbul.11.24 p.m. - An explosion is heard at the Police Special Operations Center in Golbasi, to the south of Ankara.11.30 p.m. - Prime Minister Binali Yildirim announces an “attempt to stage a coup" in a live TV broadcast.11.30 p.m. - Chief of the General Staff Gen. Hulusi Akar is held hostage by pro-coup soldiers.July 1612.00 a.m. - Security sources tell Anadolu Agency the coup is being conducted by officers who are members of the Fetullah Terrorist Organization (FETO) led by U.S.-based Fetullah Gülen. 12.11 a.m. - President Recep Tayyip Erdoğan leaves Marmaris, in Turkey's southwest, for Atatürk International Airport in Istanbul.12.13 a.m. - TRT news anchor forced to read a declaration from coup leaders claiming to have taken control of the nation as the Committee of Peace at Home. Erdoğan later addresses the country via mobile telephone, urging people to “go to the squares" to resist the coup and defend democracy.12.35 a.m. - First investigation into the coup launched by a prosecutor in Istanbul.1.01 a.m. - Ankara Police Department attacked by jets and helicopters.1.39 a.m. - First pro-coup soldiers arrested.2.20 a.m. - Golbasi Special Forces Department headquarters bombed by pro-coup aircraft, killing 17 police officers and two personnel from satellite operator TURKSAT.2.30 a.m. - 13 soldiers, including three senior officers, are held while attempting to take over the presidential palace in Ankara. A spokesman for the National Intelligence Service says the coup has been “thwarted".2.42 a.m. and 02.49 a.m. - The Turkish parliament is bombed, injuring a number of people.3.00 a.m. - TRT resumes broadcasting.3.20 a.m. - Erdogan lands in Istanbul.4.00 a.m. - Ankara chief public prosecutor's office orders the arrests of members of the coup leadership.4.42 a.m. - Helicopters open fire on the hotel in Marmaris where Erdoğan had been staying. Five police are injured in a firefight with troops.5:20 a.m. - Yildirim tweets that 130 soldiers have been arrested and a rebel general killed.6:52 a.m. - 1st Army Commander Gen. Umit Dundar is appointed as acting chief of staff in Akar's absence.7.10 a.m. - Interior Ministry confirms that more than 330 FETO members have been detained.7.35 a.m. - More than 750 military personnel held over coup attempt.8.32 a.m. - Akar rescued from pro-coup forces.9.32 a.m. - Around 1,370 suspected FETO military members detained.9.40 a.m. - 200 soldiers surrender to police in Ankara.9.44 a.m. - Deaths of 90 people during the failed coup are revealed by authorities. 1,154 have been injured.9.46 a.m. - Treason charges laid against the retired air force commander Gen. Akin Ozturk and Lt. Gen. Metin Iyidil, commander of the Land Forces Training and Doctrine Command.9.56 a.m. - 1,563 suspected FETO members arrested.9.58 a.m. - Judicial recess cancelled.10.07 a.m. - 700 soldiers surrender to police in Ankara.10.22 a.m. - Pro-coup soldiers in Marmaris leave area.10.34 a.m. - A group of senior officers who were held by plotters after refusing to join the coup is freed.10.37 a.m. - Yildrim announces that Akar is on-duty at prime minister's residence Cankaya Palace.11.27 a.m. - Coup forces at General Command HQ ask to negotiate surrender.12.04 p.m. - 200 soldiers arrested at General Command HQ.12.56 p.m. - Three prosecutors receive surrender of troops at General Command HQ.12.57 p.m. - Yildirim says 161 people martyred, 1,440 injured during coup attempt. 2,839 military personnel involved in the “vile attempt" arrested.2.37 p.m. - 2,745 judges suspended over alleged links to coup attempt.3.26 p.m. - 10 members of Council of State, Turkey's highest administrative court, are arrested.4.08 p.m. - Ankara chief public prosecutor's office issues detention orders against 11 members of the Supreme Court and four members of the Supreme Board of Judges and Prosecutors over alleged coup ties.5.00 p.m. - Yildirim addresses to an extraordinary session of the Turkish parliament.8.02 p.m. -An operation at Akinci air base northwest of Ankara ends. The base had served as the coup headquarters.9.57 p.m. - Ankara chief public prosecutor's office demands the arrest of 2,745 suspended judges. “Despite the ambiguity of the behavior of Erdoğan, to a certain extent, he began to pursue a more independent policy from the West in the evaluation of the processes occurring in the region. Maybe it's not liked by the pro-Western generals," Kadyrov said in his Instagram account. He added that initial information indicates that the Turkish people supported “the legally elected President Recep Tayyip Erdoğan and the country's government". “Turkey is our closest neighbor, a country with which we are closely linked by economic, cultural and humanitarian relations," he stated. Turks in the U.S. on Saturday gathered in Pennsylvania to protest a coup attempt Turley led by an expatriate cleric living in self-imposed exile in the state.Approximately 100 Turkish nationals from neighboring states converged on Fetullah Gülen's Saylorsburg residence.Some came from as far away as Washington DC to demand Gülen's extradition to Turkey where he is wanted for charges related to multiple attempts to forcibly remove the elected Turkish government.The latest attempt took place late Friday when a clique within the army tried to mount a military coup -- raising anxiety from what many Turks had hoped was a by-gone era of periodic coups by the country's historically powerful military.Approximately 160 people were killed by coup plotters who blocked bridges and airports, attempted a media blackout and went as far as to bomb the Grand Assembly, key buildings and shell Turks and law enforcement officials. "Obama, make him go!" and "The nation is here, where are the traitors?" the crowd in Pennsylvania chanted while calling through a megaphone to passing vehicles, "Your neighbor is a terrorist. "Nejit Zafer Saydam who traveled from Connecticut to join the protest told Anadolu Agency that he wants Gulen to face charges in Turkey.“What we want is this guy to be turned over by the U.S. government to the Turkish government so that he can go back and stand trial for what he did to Turkey,” he said.Musa Kalsavlan came from the neighboring state of New Jersey to Gülen's massive complex and echoed Saydam, adding that the reclusive cleric is “killing Turkish people, he's killing Muslim people.”Hasan Guclu, a protest organizer from Delaware, said not even the demonstration would be enough to shame Gulen into returning to his home country to face charges, but the protest was nonetheless significant for raising awareness. "There needs to come about an agreement between the U.S. government and the Turkish government on this," Guclu said in reference to Ankara's extradition demands. "It is simply not enough to say we are allies and not act upon it. "They [U.S. officials] are always talking about strategic alliance" with Turkey, Hasan said. "As far as I can see, there must be a strategic situation that prevents them from giving him back. "Guclu is hopeful the situation could change following the coup attempt. "Turkey should play all its cards to get him back," he said.Gulen's followers have opened numerous schools in the U.S. and he is believed to hold financial assets worth billions of dollars.Protesters also voiced support for the reinstatements of capital punishment t in Turkey.The death penalty was abolished in 2004 but for at least a decade before that Turkey did not execute any of prisoners.Gulen's neighbors, Penny and Lester, who did not give their last names, say they are surprised the U.S. government is not helping Turkey in its extradition bid. "Why aren't they sending him back?" Lester, 74, rhetorically asked when he learned of the accusations of Gulen plotting and orchestrating a coup attempt.Some 2,839 military personnel involved in the coup attempt have been arrested and 20 pro-coup soldiers, including senior officers, were killed during their campaign to overthrow the government.The government said the coup bid was organized by followers of Gülen, who is accused of pursuing a long-running asymmetric campaign against the government through supporters within the Turkish state, particularly the military, police and judiciary. The closest ally of Russian President Vladimir Putin rejected some allegation that the coup could have been plotted against Erdoğan's ambition for reviving the Ottoman Empire. “There have also been noticeable positive changes in Turkey's approach to the events in Syria. Some comment that the attempt of a military coup is due to disagreement with the military, "Erdoğan's desire to Islamize the country, revive the Ottoman Empire. I believe that it is a somewhat superficial and hackneyed approach to the assessment of events. Most likely, these people do not know where the boundaries of the Ottoman Empire are, and are not aware that these goals cannot be put in front of any modern politician, including Erdoğan," Kadyrov said. “In fact, the Turkish generals used to interfere in politics, to dictate the country's leadership inside and outside the course. Each such attempt came from the Western-oriented military." We know from experience that any military coups lead to serious consequences," Kadyrov said and added, “We wish the brotherly people of Turkey as soon as possible restore peace and stability." On Friday evening, a group of Army officers allegedly linked with the pro-Gülenist FETÖ terrorist organization attempted a military coup that failed by strong resistance from the people all over the country. The incidents triggered by the coup plot had left at least 161 people killed and more than a thousand wounded. The detainees include 3,000 military personnel who were involved in the coup attempt.